These CNC-machined pulleys are cut from ductile iron cast and allow you the option to run either 1 or 2 separate - 8 rib micro V groove belts for added reliability, more driving power, multiple engine operating speed or off-driving (using the alternator as a jackshaft). 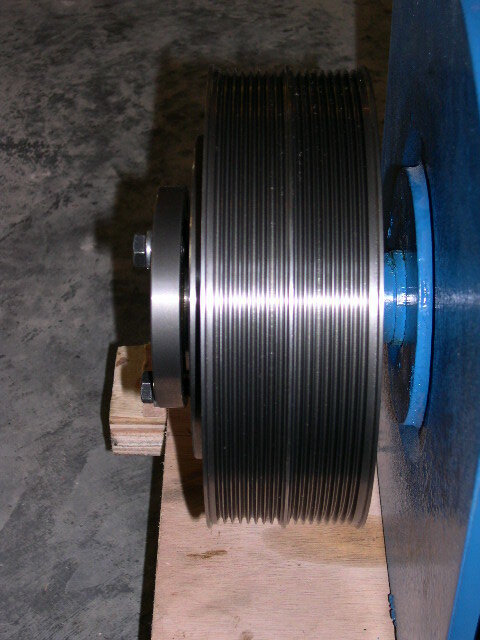 Some of our pulleys feature a pre-machined shoulder as well as pre-drilled and tapped 5 bolt pattern for the option of adding more flywheel effect (similar to the very heavy pulley on the original lister start-o-matic generator). 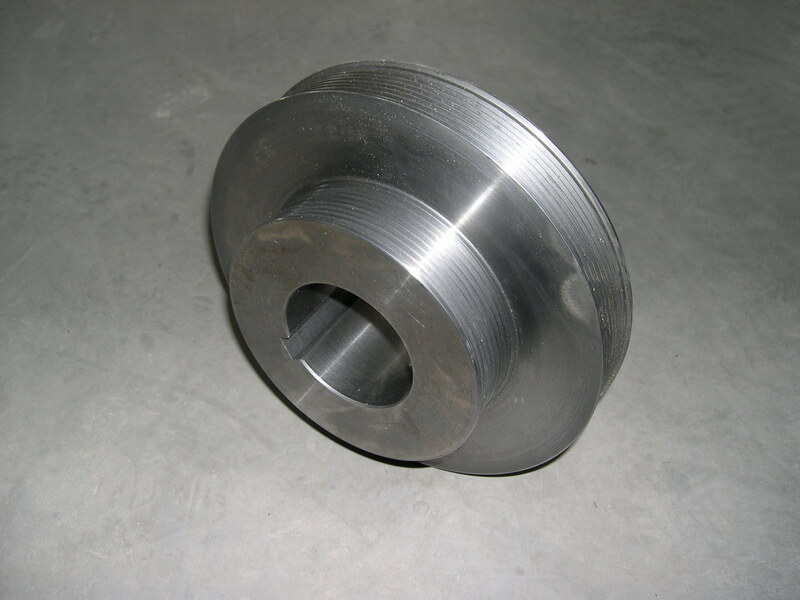 These pulleys accept the heavier Q1 browning bushing with double slit and non-cut outer collar which are available for virtualy any generator shaft size you may have. Eco Diesel Sidewinder Pulleys are available in the following sizes and configurations for driving 1800 rpm AC alternators.